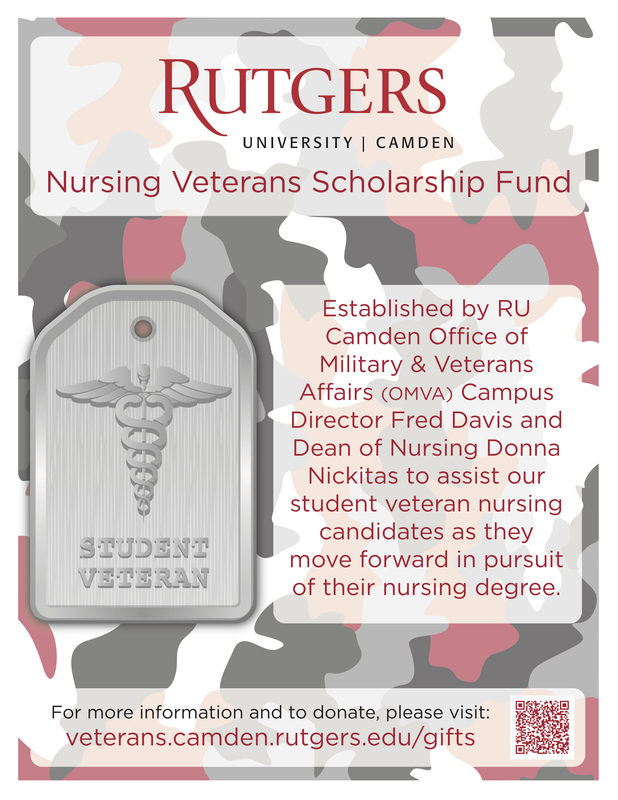 On behalf of the Rutgers University–Camden community, thank you for your service to our country. Rutgers students and faculty, along with alumni and staff, have served in the U.S. military since the American Revolution. You have undoubtedly made sacrifices and faced hardships unknown to most other students. You, and those who will come home in the years ahead, have earned our respect, admiration, and support as you begin a new phase of your life. Rutgers–Camden stands prepared to assist you in your transition to academic life. We have established a Veterans Affairs Council, have a Director of the Office of Veterans Affairs, three VA workstudy student veterans, and have many staff on campus who are aware of and ready to service veteran students throughout the campus. The information contained in these websites is designed to help you navigate Rutgers University – Camden. Please take advantage of the offices, the services and the people that are here to serve you and help you succeed at Rutgers University – Camden and into the future. I initially came into contact with the Office of Military and Veterans Affairs (OMVA) when I enrolled as a business student in the Fall 2014 semester.